Tuesday, Wednesday and Thursday from 1-5 p.m. They prefer large groups to call ahead. Major events will still be on Saturday's. 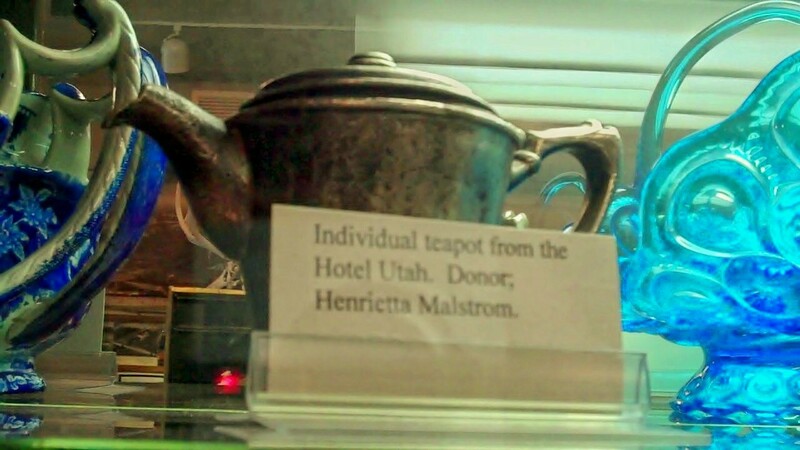 FREE admission, but they do accept donations if you choose to do so. Make sure you sign their guest book, because the city counts how many visitors they get. They also have a very cute little gift shop where you can buy an assortment of items, so make sure you plan for that! 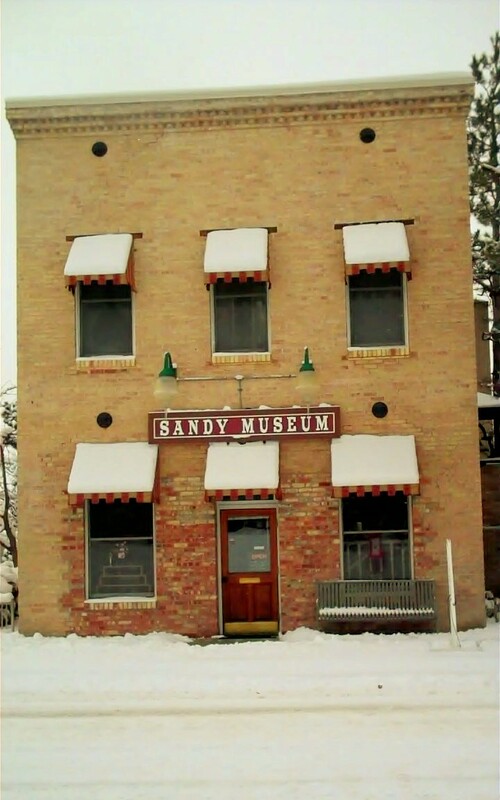 Not many people know that the Sandy Museum even exists, or even much about the history of Sandy, Utah. The Sandy Museum is located on historic Center Street in Sandy, and close to historic Main Street. 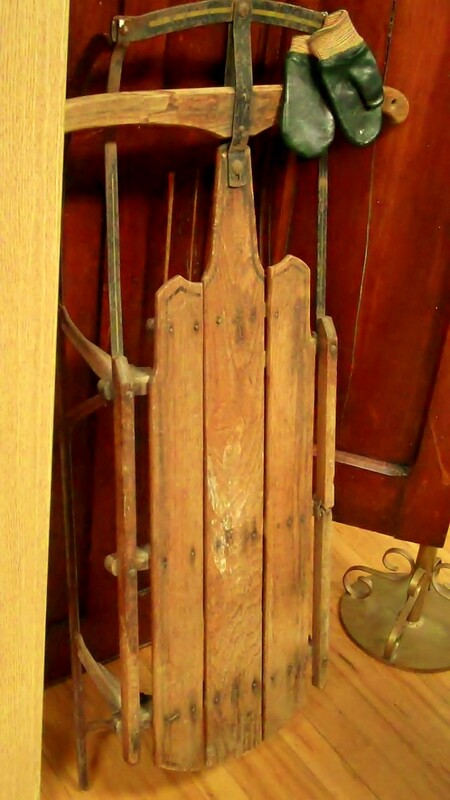 The building the museum is in has served many purposes over the years: In 1890, it was a co-op mercantile store and social hall; in 1912 it housed the Knights of Pythias; at one time it was Jenkins Funeral Parlor; 1939 it was a fire station; October 1987 it opened up as the Historic Sandy Museum. The tour guides are very knowledgeable about the building and everything in it. They are very good to answer your questions, tell about the personal items donated to the museum, and the history of Sandy. In an engaging way, they peek your interest to want to learn and hear more. 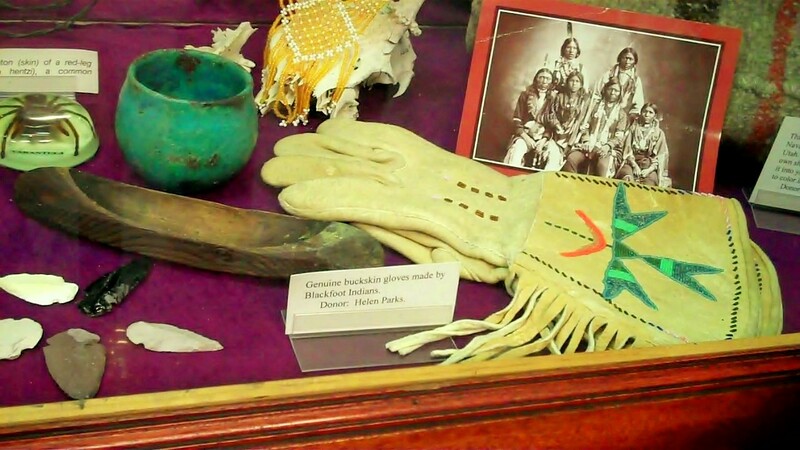 I was amazed at the artifacts and historic items that are at the Sandy Musuem. 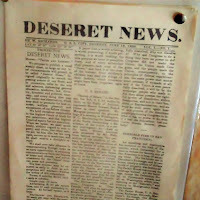 They have the flag that was flying the day Utah became a State, original field glasses from Kit Carson, beds and musical instruments that survived crossing the planes when the pioneers came to Utah, a teapot from Hotel Utah,and countless pictures and original newspaper clippings. 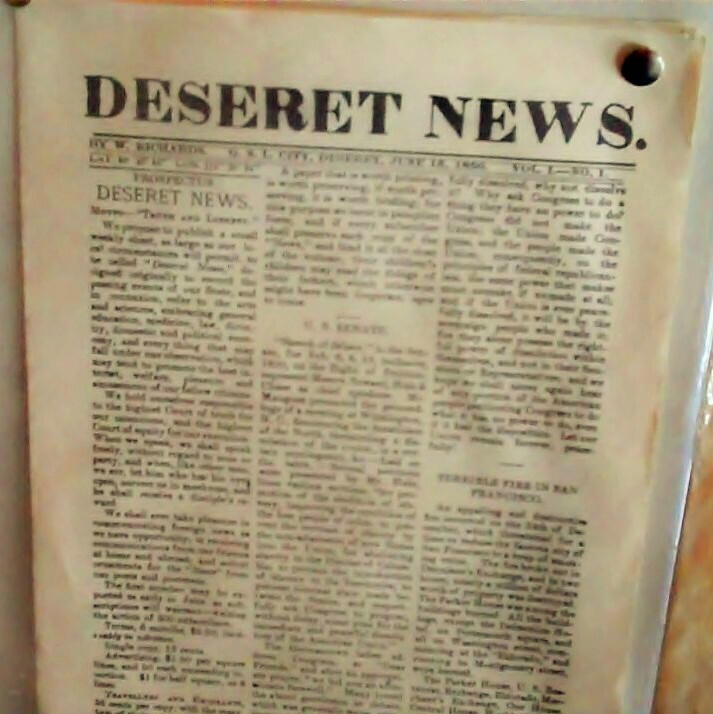 They even have the very first published issue of the Deseret News. One item in particular we enjoyed hearing about was the handlit street lamp. Our tour guide told us about the marshall that would walk the streets at dusk lighting the street lamp. 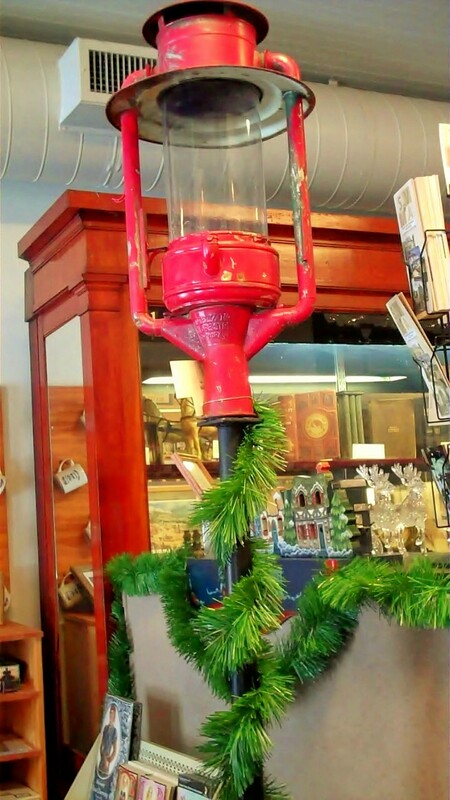 Fuel was added to the lamp to light it. When the children playing in the streets saw the marshall making his rounds lighting the lamps, they knew it was time to head home; back in those days it was illegal to be out past curfew. A bell would also ring to tell the residents it was time to be in their homes and off the streets. Their collection of war memorabilia is definitely impressive. 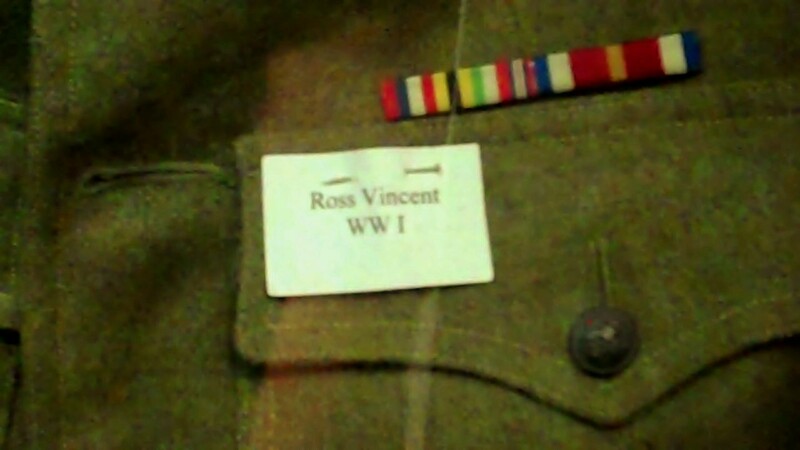 They have military uniforms and hats dating from WWI through Desert Storm. 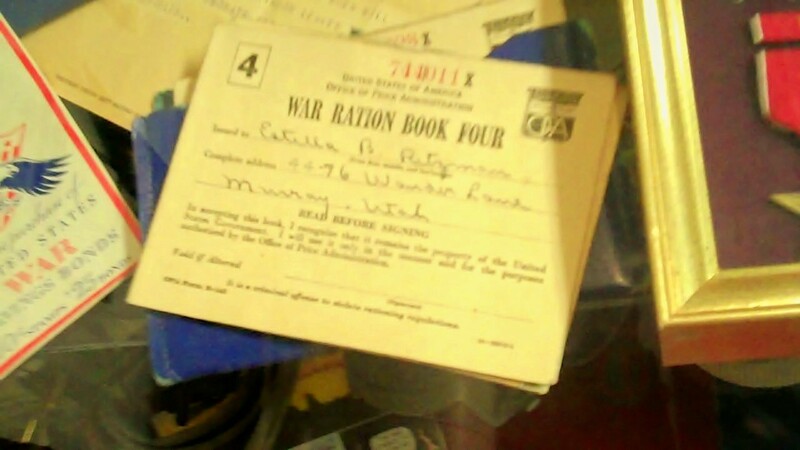 Hearing about war rations was very unimaginable compared to how we live and waste things today. 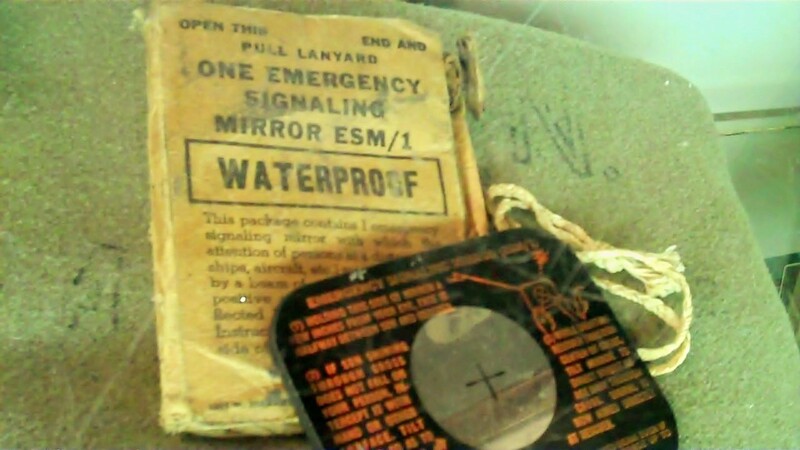 Also on display is a "test bomb". In the gift shop, they have an excellent little booklet called "Walking Tour Of Historic Sandy". It has priceless pictures of historic Sandy, and many of the people that called Sandy home. 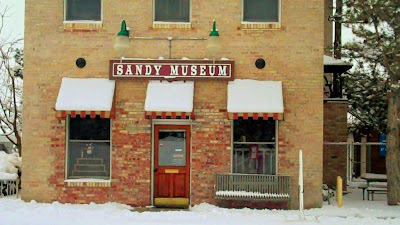 I am excited for Summer, as we will definitely be taking a second trip to the museum, and to do the walking tour of Sandy. Stay tuned for details, as I will definitely post them here! We would love for many of you to come with us! Thanks again to our tour guides for teaching us about the history of Sandy, the history of the building, and many great stories behind the historic collection they have at the museum! !